← Is this a Mural? We do quite a few of these. Usually the customer is taking photos at an event, or using them as a backdrop for a speaker. 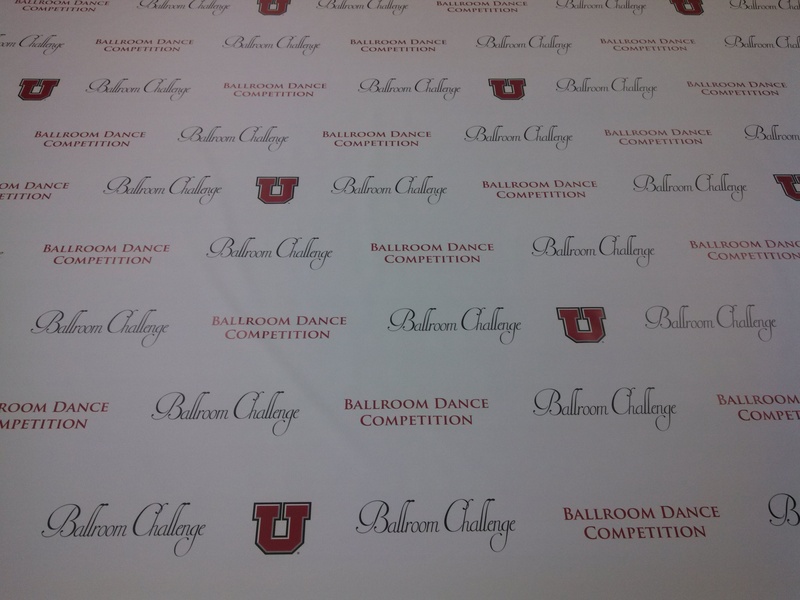 We call them step and repeat banners. While people usually send us artwork ready to print, it’s easy enough to take the logos you have and space them evenly on the banner for you. We print on a matte finish vinyl so that you don’t have trouble with glare. Usually we put pole pockets top and bottom. That allows them to be nice and straight when hung from a pole, with another in the bottom pocket to give it a little weight. We can print up to 8 foot width by just about as long as you want to go. If you are doing 8 foot height, figure the pole pockets to take 3 inches top and bottom, so 7-1/2 feet visible. This entry was posted in Vinyl Banners and tagged backdrop banners, step and repeat banners. Bookmark the permalink.